To save the world it takes conviction, dedication, and a real Hiro. 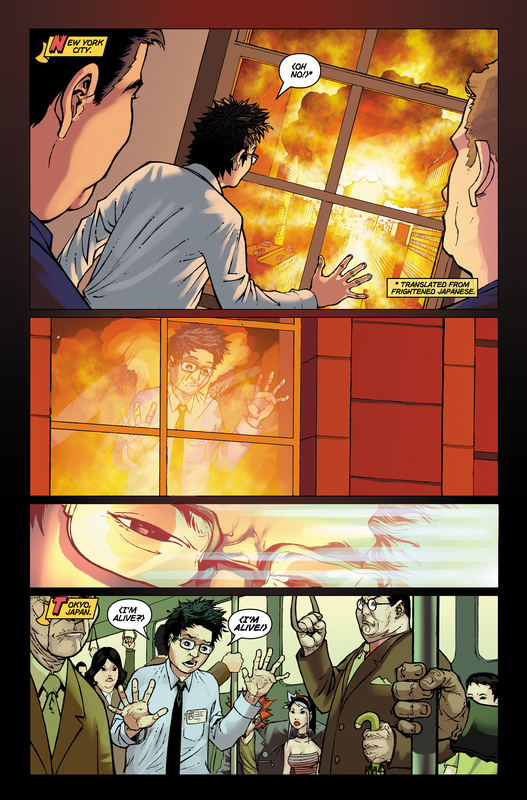 After the explosion (Don't Look Back), Hiro Nakamura teleports back to the train in Tokyo and immediately rushes back to his apartment. 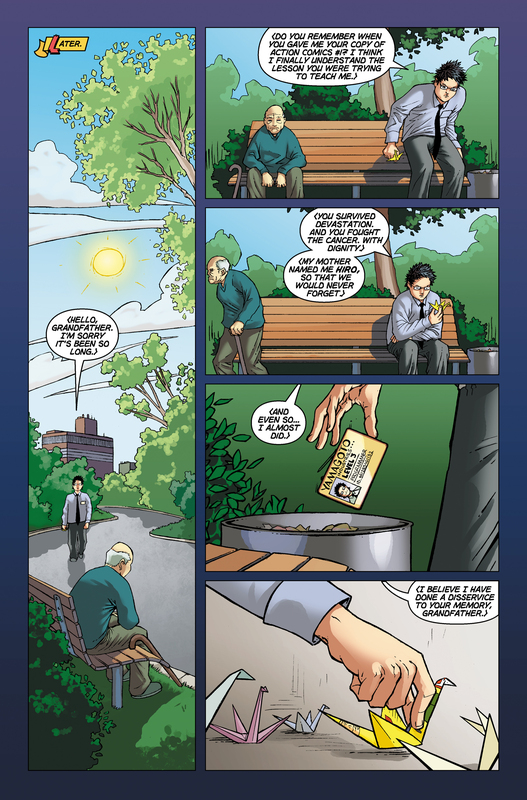 He tears the cover off his copy of Action Comics, Issue #1, the DC Comics comic book in which Superman debuted. 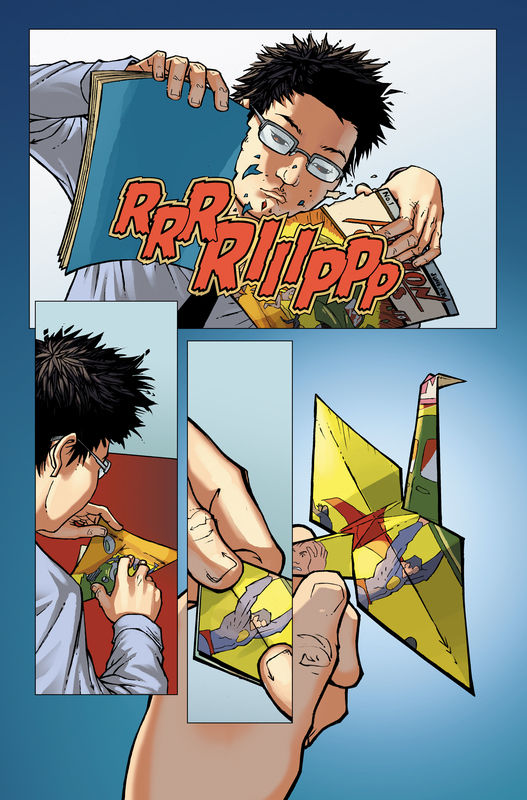 Hiro folds it into an origami crane and takes it to a park to speak with his grandfather. Sitting down on a park bench next to an old man, Hiro reveals that he is named in memory of the Hiroshima bomb from which his grandfather survived. The old man gets up and walks away—he's not Hiro's grandfather after all. 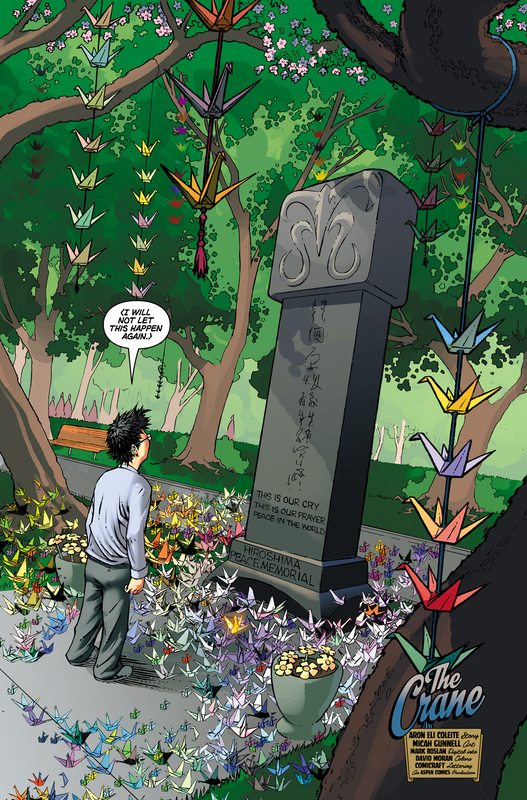 Hiro is at the Hiroshima Peace Memorial, his grandfather is dead from cancer, and his crane is placed among thousands of others. Hiro discards his Yamagato Industries employee badge, and says he has done a disservice to his grandfather's memory, but won't let it happen again. In its June 1938 debut, Action Comics, Issue #1, cost 10¢. According to Wikipedia, the present-day value of a near-mint condition issue is about $440,000. However, in 2010, a copy of the issue sold at an auction for $1 million. 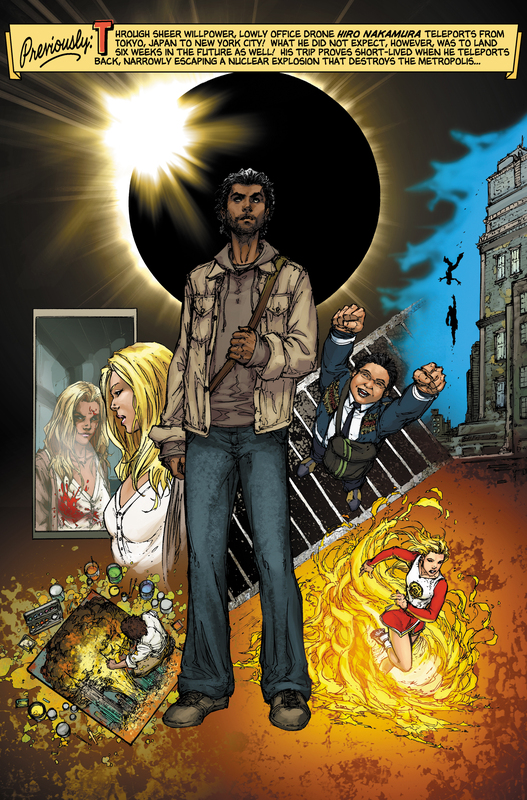 Released on October 2, 2006, The Crane is the only Heroes graphic novel to take place in the real-world present day. The story that takes place in The Crane fills in the "holes" of Don't Look Back. 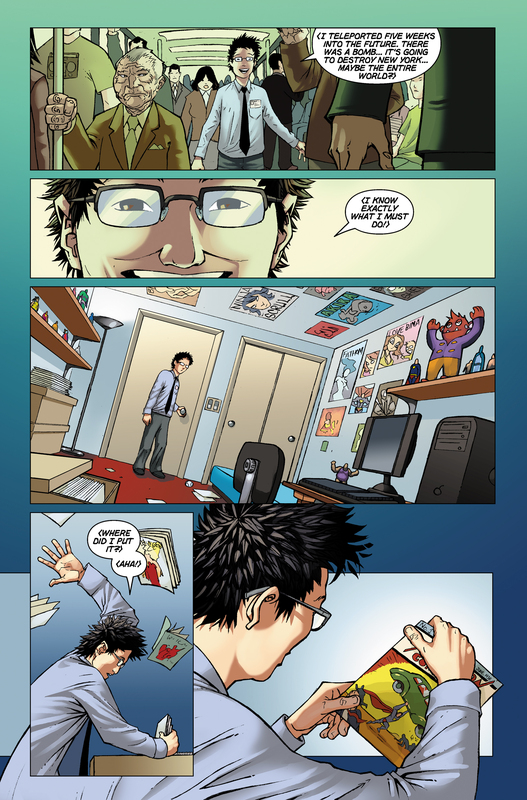 The Crane tells what happened when Hiro returned to Tokyo from his first visit to New York City. According to Don't Look Back and The Crane, Hiro time traveled five weeks into the future. However, the "Previously" section of The Crane erroneously says he time traveled six weeks into the future. For images from The Crane, see images from The Crane. 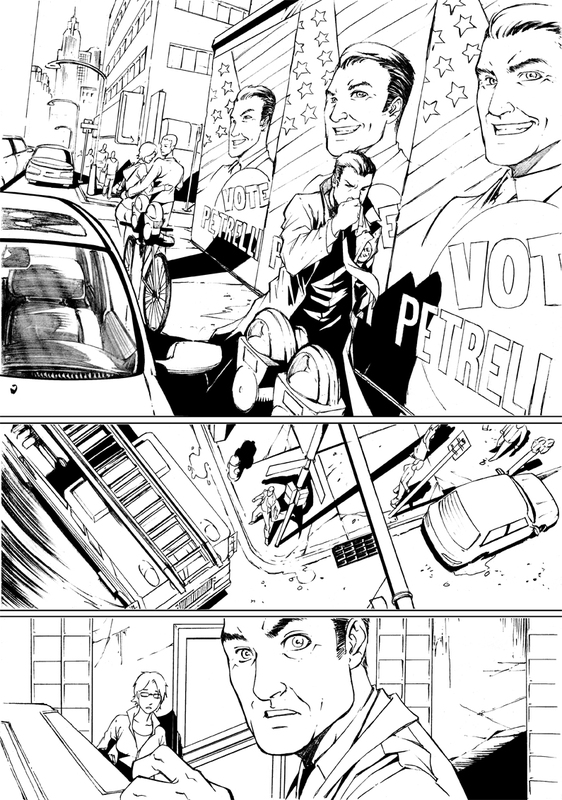 For Micah Gunnell's original art for The Crane, see here. For an interview in which Micah Gunnell discusses The Crane, see here. This page was last modified on 16 May 2017, at 05:48.